The success of project depends upon a variety of factors which includes effective planning and designing of the project, effective implementation of a project plan and effective monitoring and controlling of the implementation plan. The success of an implementation of a project of an organization also depends on various other factors such as adequate resources, effective management of the project plan, communication between the stake holders and user involvement of the project. This report focuses on the comparison of two case studies based on the various parameters which influences the success of a project. There was a lack of Executive support which is evident after the failure of implementation of go live project in the adequate budget and in the adequate time period as an adequate governance structure was not established in the primitive stages of the project implementation which resulted in confusion of the roles and responsibilities between the various involved stakeholders. As opined by Sasmita Mishra and ProkreetiMitra (2016) there was lack of executive support which is evident after the analysis of the go live failures at RMIT and Cambridge which is evident from the fact that in case of RMIT, the AMS project did not receive adequate executive support from the project director of the organization as he was not experienced in handling big IT implementation projects which resulted in non-achievement of the project deliverables of the organization and in case of Cambridge too there was lack of executive support which was evident from the fact that there was a lack of structured approach or suitable project methodology adopted by the top management of the organization. As opined by Jayawickrama, Liu and Hudson Smith (2017) there was lack of clear governance in Queensland Health which led to the failure of the implementation project as it is evident from the fact that due to the absence of sound governance in place there was a lack of integrated project planning and absence of integrated crucial path with clear deliverables and timelines. As stated by Ram, Wu and Tagg (2014) there was a lack of sound governance which is evident after the analysis of the go live failures at RMIT and Cambridge which is evident from the fact that in case of RMIT, the project was too much reliant on the Project Director as a result of the Project Director’s personal power and in case of Cambridge it was found that the project governance was weak and it followed a collegiate committee-based management structure which were supported by under-staffed line management which indicated that no individual senior manager or committee felt clearly responsible regarding the project. There was a lack of user involvement which is evident after the analysis of the go live failures at RMIT and Cambridge as in both the cases there was a clear lack of organizational engagement and user involvement with the new system which was being implemented in both the cases particularly in the area of user acceptance testing before deciding to go live. There was a lack of experienced Project Manager as evident from the analysis of the go live implementation plan of Queensland Health as due to the unavailability of an experienced project manager there were problems in project handling and lack of understanding of the complexities which are associated with the project and the implementation plan. There was a lack of experienced project manager which is evident after the analysis of the go live failures at RMIT and Cambridge as in incase of RMIT, though the project director was a committed individual but the project manager who was chosen for the implementation of go live was an experienced individual wo lacked experience in managing major IT projects and seemed to have underestimated the scope and cost of the go live project of the organization and in case of Cambridge it was observed that there was a lack of experienced, competent project management and financial staffs and there were also shortcomings in the documentation and rigorous testing before implementing the go live project. The objectives of the SSI as determined by the Queensland Health were increased opportunities by enabling workplace mobility, increased visibility of the cost and services, reduction in data duplication, reduction in licensing agreement cost, personnel reduction, achievement of economies of scale, help government organization to focus on their core competencies, consistency of HR and finance information throughout all the government agencies. There were clear defined business objectives for RMIT and Cambridge, as the main objectives of the AMS application of RMIT was to maintain student records, providing interface to various other applications of RMIT and to provide internet access to student records for all students and staffs and in case of Cambridge the business objectives was to handle general ledger, cash management, fixed assets, inventory, accounts payable and receivable and research grants. The basic requirements of Queensland Health was not defined and documented accordingly which resulted in the arousal of various user-acceptance and functionality issue during the implementation phase of the project. As opined by Garg and Agarwal (2014) the basic requirements of RMIT was to effectively streamline the administrative process of the University and as a result provide huge benefits to the staffs of the organization and an improved level of service to current and potential students of university and in case of Cambridge the basic requirement was to improve commitment accounting and accounting for research grants. There were no such barriers which were identified regarding the organizational commitment to change as Queensland Health was committed to embrace change in the organization with the implementation of go live application but the implementation proved disastrous as a result of lack of communication of expectations and responsibilities between the various stakeholder groups. According to Reitsma and Hilletofth (2018) there were various problems which were identified regarding the organizational commitment to change, which is evident after the analysis of the go live failures at RMIT and Cambridge as in case of RMIT, the AMS project lacked a strong and effective focus regarding change management in order to ensure that all affected areas of the organization adequate communication, training and support from the organization to cope up with the changes. There were adequate resources which were available to Queensland Health regarding implementing of the go live application the public health department of Queensland but the project failed as the resources were not utilized and managed properly due to the absence of a proper management team in the organization who would monitor the use of the adequate resources. According to Le, Vu, Hens and Van Heur (2014) there were also adequate resources which were both available to RMIT and Cambridge but the project failed eventually due to the absence of an appropriately skilled internal project director and also due to the absence of a project manager in the project teams of the organizations Structure which led to the failure in the management of resources which resulted in both cost and time overrun. There ERP application of the Queensland Health was not flexible in nature which is evident from the fact that the go live application which was developed initially by IMB failed to meet the requirement and expectation of the client due to lack of flexibility of the application which resulted in modification of the system. According to Hsu, Yen and Chung (2015) there were various problems regarding flexibility in both RMIT and Cambridge which is evident from the analysis of the go live failures at both RMIT and Cambridge as in case of RMIT it was observed that the go live project was not flexible in nature which was evident from the fact that the AMS project of the organization displayed a lack of essential rigor and an effective risk management strategy and therefore the project encountered problem and had to undergo modifications and in case of Cambridge too it was observed that the go live project of the organization lacked flexibility as there were various problems in managing patches and fixing several bugs in the Oracle software of the company which resulted in lack of effective implementation of the software which resulted in re-modification of the go live application. There were various problems related to clear communication in the Queensland Health project as through analysis of the project it was identified that effective communication process were not established with the consultants which was evident from the fact that IBM was chosen as a consultant of the project despite the opposition of the Queensland Health employees. As stated by Bintoro, Simatupang, Putroand Hermawan (2015) there were problems regarding the communication process in both RMIT and Cambridge which is evident from the analysis of the go live failures at both RMIT and Cambridge as in case of RMIT, there was observed a lack of communication between the AMS project member team and the business users during the phase of implementation of the go live project of the organization whereas in case of Cambridge it was found out that there was no consensus of the views and decisions of the top management of the organization and the various other departments of the organization as a result of clear communication between the various parties involved which led to the failure of the project. As stated by Janssens, Van Moorst, Kusters and Martin (2018) there were various problem which were identified regarding managing stakeholders of Queensland Health as the roles and responsibilities which were expected from each stakeholder group of the company were not clearly defined and communicated which resulted in mis-management of the stakeholders which in turn resulted in failure of implementation project. There were problems in managing the stakeholders which is evident after the analysis of the go live failures at RMIT and Cambridge as in case of RMIT it was observed that the AMS project did not identify and obtain the buy-in of the key stakeholders throughout RMIT which led to a feeling among the stakeholders of the organization that the change was being forced. There were various problems in vendor support which is evident after the analysis of the go live failures at RMIT and Cambridge as in both the cases it was observed that though the vendor provided adequate support for the fixing of various types of bugs in the go live system of both the organization but it did not involve the project manager of the organization that their system was not adequately ready in order achieve the objectives of the organizations and they also did not conduct rigorous testing of the application before implementing it in the system. 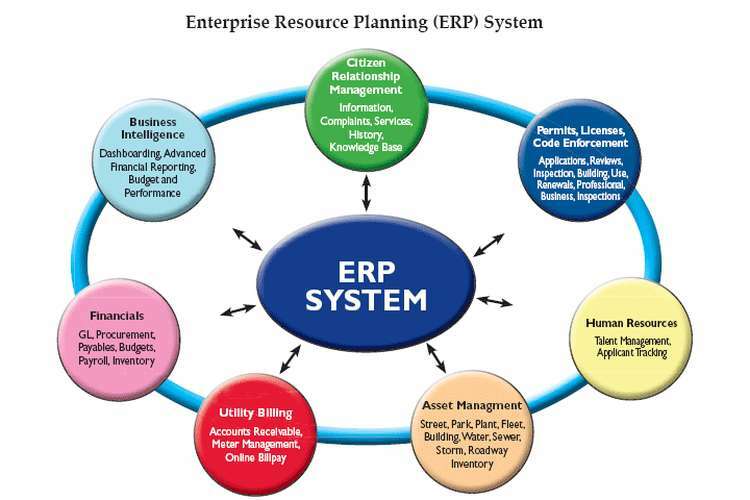 From the above comparison and analysis of the two case studies it is evident that the result of the failure of the above mentioned ERP implementation in the case study organization have mostly occurred due to the absence of effective project management in the organizations which control the entire implementation of the project. Another factors which can be also identified from the comparison of the above case studies is that the one of the other reason behind the failure of the above mentioned projects is due to lack of communication among the various stakeholders who are associated with the projects.